A traditional massage that does not use oil. In Japanese, 指(shi) means 'finger' and 圧(atsu) means pressure. It is a technique that uses the fingers, palms and elbows of the masseuse to repair the energy line of the body by stimulating specific pressure points. Combined with techniques such as stretching and joint rotation, it is ideal for tired muscles. An oil-based technique that focuses on relieving the effects of fatigue and tiredness. With strong pressure applied to deep tissue, it is effective on the fatigue from office work and sports. Depending on the strength and depth of the pressure, it promotes better blood circulation and can help improve the mobility of stiff joints. An oil-based relaxation massage technique. Using fingers and elbows to create flowing pressure, it relaxes tenses muscles by stretching them and slowly warming them up. This can also boost the body's immune system by improving the circulation of the blood and lymph nodes. 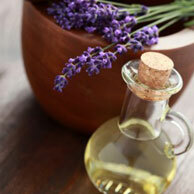 A massage using a variety of essential oils with various healing functions. The plant-based aroma used can help with deep healing and restoring the balance of body and mind. The massage, which improves the blood circulation, lymphatic function and relaxes tense muscles, is further enhanced by the essentials oils penetrating the skin, promoting better cell regeneration. A treatment using oil with the focus area from the soles of the feet to the calf. It can help restore the function of various internal organs by stimulating corresponding reflex points on the soles of the feet. By stimulating the blood flow gathered below the body, it also helps eliminate swelling of the feet, improve cell regeneration and dispel bodily toxins, resulting in an overall relaxation with a sense of complete balance. A massage using a combination of oil and hot stones. The far-infrared emitting stones used has a warmth that reaches deep into the body and improves blood circulation. Furthermore, combined with the massage, it is effective against deeply entrenched fatigue. The moment of blisss from the resulting warmth and deep relaxation, also helps your body's self-healing ability. It is a treatment combining oil massage and Enishi's scrub and clay body pack. The scrub removes old skin cells and dirt from the pores. The massage relaxes the muscles, improve blood circulation and removes any waste from the skin, thus returning your skin to its original healthy state. The active ingredients from the clay body pack penetrates deeply into your skin, moisturising it and gives it a radiant finish. A traditional Thai massage that does not use oil. Also known as "Yoga in Pairs", it is a slow, rhythmic massage incorporating stretching and pressure from the whole body to unknot muscles to achieve the great feeling of the body back in balance. It can boost the immunity by stimulating the autonomic nervous system. It can also improve self-healing with a relaxing result.